darkSpyro - Spyro and Skylanders Forum - Skylanders Toys and Merchandise - The UK Hunting And News Topic! darkSpyro - Spyro and Skylanders Forum > Skylanders Toys and Merchandise > The UK Hunting And News Topic! The UK Hunting And News Topic! Free LC Hex and Poster with Swap Force Starter Pack at TRU UK. Battle and Adventure Pack £24.99 Pre-Order. Any news on Series 2 Drobot? It wouldn't surprise me if it came out at the end of the month/beginning September with Punch Pop Fizz Single. Most shops are reluctant to get it as it's the only new figure they have as LC Hex is free with SF Starter Packs and most still have stocks of older figures and want to off-load them before Swap Force comes out. Why did they take the Punch Pop Fizz page down? Stores just get things ready. They don't have the stock in and to stop people asking about a product they don't have, they take it down. So they just have to put it back up when they have the product in soon. With items like Punch Pop Fizz, they won't allow you to pre-order. It's first come first served. It's just how things are always done regarding Skylanders. We don't have a release date and they won't/not allowed to say (that's the excuse generally give). As always just be patient and keep an eye out. Hopefully we get more news soon!!! Have the last 2 triple packs and/ or single jet vac been released there? Not sure. Most of wave 5 has been an issue in the UK - much like last year. WE have not got the last two triples or Jet-Vac single or Series 2 Drobot. Anyone in London know of a Tesco with Jade Flashwing? Looks like I will have to give up. Looking forward to the Swap Force Lightcore Flashwing though! Red Punch Pop Fizz £8.99/€10.99 at Smyths Toys UK/Ireland now listed. No date for release. Should be soon. UGH--thanks for answers--I understand store exclusives but I wish the figures were all released to country's equally. This appears to be the only place in the UK you can get the Dark Starter Pack from - though it won't let me input my payment details for some reason. It shouldn't be an issue, since it doesn't charge your account until the product is actually shipped but I have a feeling that it's checking my account balance and then fails. Anyone else had a go and had the same issue? Or is is just because I'm poor and don't have £70 in my account at the moment? Bionicle how do you know that's the dark edition? The details only specify 3 characters. That was added last month - before all the details of the Dark Starter Pack. This could easily be the Dark Starter Pack, but if it's not then I cancel the order. Apparently GAME aren't having it, so out of Tesco or Asda I'd prefer it be Tesco. Tesco is also a lot more easily accessible, so I could see that more likely. Edit: Speaking of Tesco, they're doing a £5 off offer on pre-orders for video games - making them the cheapest place to get Swap Force and the LC Hex in the UK at the moment. ...Well. Okay, I have been put in my place. Bionicle, I also tried to pre-order it from coolshop and it would not accept my payment details as well. I was trying to use a debit card but I guess it does not accept debit cards. [quote=[url=http://forum.darkspyro.net/spyro/viewposts.php?topic=86053&post=4529970]bionicle2809[/url]]Apparently GAME aren't having it, so out of Tesco or Asda I'd prefer it be Tesco. Tesco is also a lot more easily accessible, so I could see that more likely. I have 8 pounds in my reward card I'm gonna use! For anyone still planning to order on of the starter packs from ToysRUs. Just pre-ordered the regular starter pack from Toys R Us. Just wondering, but does anyone know what delivery service TRU use? just cancelled my TRU order and re-ordered using that code, thanks Midnighttuck!! I just ordered the 3DS from Toys. Such a good price £44.99. 2 swaps = £30 = Volcanic = £38 + Hex = £48 + Game = A lot more £!!! Such a Bargain! Thanks a lot @midnighttruck!Do they ship LC Hex with it or do we have to collect her? Now just fingers crossed that the Dark Starter will make it over here and that Wash and Blast will come in singles! I imagine I will end up buying the SF figures eventually anyway, so yeah, £30 there... That leaves £15 for the 3DS game+Portal, LC Hex and Volcanic Eruptor! Don't need 2 LC Hex figures considering I already have S2 hex anyway, but it's still a bargain. Anybody know how much the 3DS game differs from the console version this time? 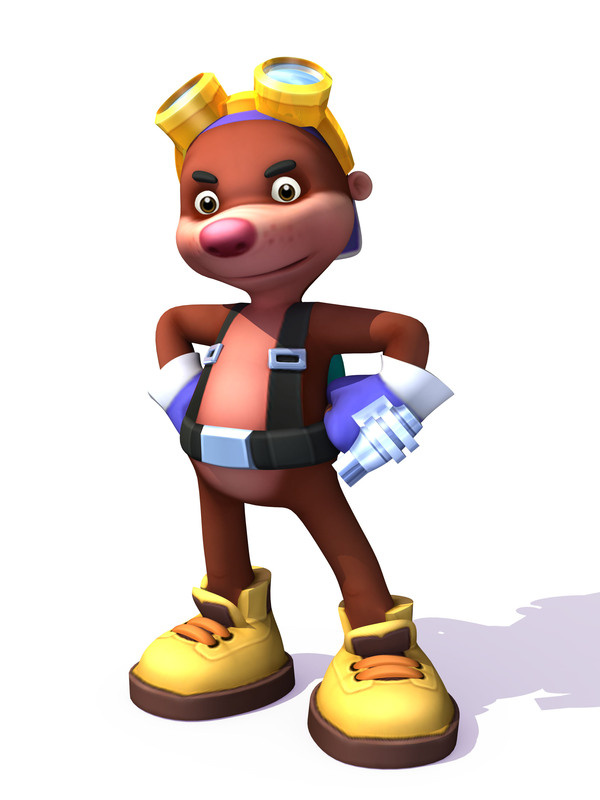 According to this thread: http://forum.darkspyro.net/spy...php?topic=86381 Punch Pop fizz is at TRU UK. Will check with my local store (where i work part time) ASAP and advise. Finally there is a UK hunting topic! Anyways, does anyone know anything more on Punch Pop Fizz because surely if he was TRU exclusive then GAME wouldn't have posted it and the picture would have the TRU sticker on the box? As for the Dark Starter Pack, I assume it will be at GAME or perhaps Tesco/Asda as Gamestop is the American equivalent. Also is there any news/rumors of Polar Whirlwind coming to the UK? Or have I missed her already? 's resident Lombax has returned! Great News I will have to update my first post! I'm not in the UK, but i think I remember someone saying polar whirlwind was a preorder bonus to swap force. If you mean without swap force i'd say prob around the time swap comes out she will be releasd alone. Haven't spotted Drobot S2 anywhere in the swindon area, or in Italy while on holiday. Just keep seeing the same few every where I go. Have a feeling sales dropped off while the retails where still buying the earlier waves. Now they have a back log of old stock to sell through. Fingers crossed someone will start selling him soon. As for the dark edition, will defiantly being pre ordering it once the uk retailer is announced. Will go for the Xbox 360 version at release then get the Xbox one normal starter later on, which has solved me buying the same starter version twice. There is also the problem of stores simply not giving a **** about Skylanders. I went to a Tesco that had 6 Flashwings on the shelf, that was it. It stayed like that for weeks. I eventually discovered they have SIX new unopened boxes of figures in the back but nobody could be bothered to do anything with them. They have the stock and simply couldn't be bothered to put it on the shelf. The Flashwings they DID have were getting pushed around and knocked behind stuff and if you didn't know, would swear this Tesco didn't even SELL Skylanders. No doubt in time they will stop selling them because, "Nobody bought them. There is no call for them". Anyone know if you can pre-order this/put in a deposit for it in store for pick up on the day of release? I would assume you can, but I just want to make sure before I cart my way down to GAME since it's a long journey for me. Yes, it does. Online ordering does not reflect it yet, but in store it has been confirmed many times through employees. Their weekly email specifically says it does. Their Press Release for the Dark Starter specifically says it does. If you want to order it online, you may wish to wait until the product page is updated with the offer, since it is not right now. Keep in mind, if this applies to you, there is no Dark edition for the XBONE of PS4 so far. Also, those editions do not have the LC Hex offer at all for most retailers, likely due to them coming out a month or so later. Edit: Sorry not certain about the UK, but for the US this applies. Quite Annoyed that there is no Dark Edition for Wii U. If it isn't listed, then i'll have to get it on xbox and try and find a Wii U game disc and portal. Hmmmm maybe i'll get this for the Wii then buy the normal starter for the Wii U when it comes down in price... Wanted HD graphics thoughhhh. Hurmmmmmm debating! PortalMasterEon---It is listed as an option in the US--So I can't imagine that they wouldn't sell that version in UK. Seems odd.